A foul-tempered Brooklyner is told he has ninety minutes to live, sending him rushing all over New York to make amends. 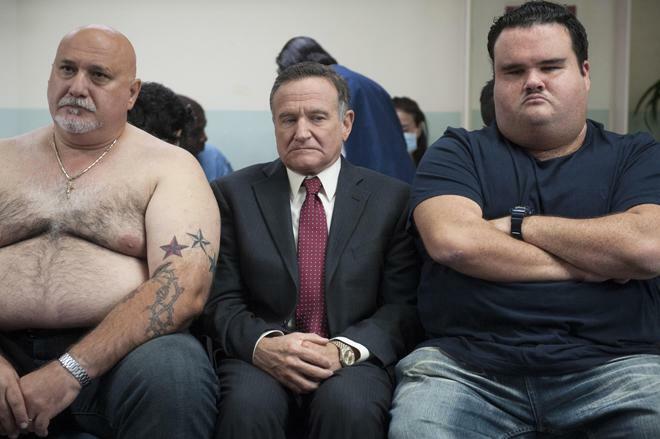 Based on the Israeli film, 'The 92 Minutes of Mr. Baum,' the story focuses on Henry Altmann (Robin Williams), the movie's eponymous "angriest man." Irritable, unpleasant, and marked by a constant scowl on his face, Henry is kind of a jerk, and spends most of his time yelling at people. 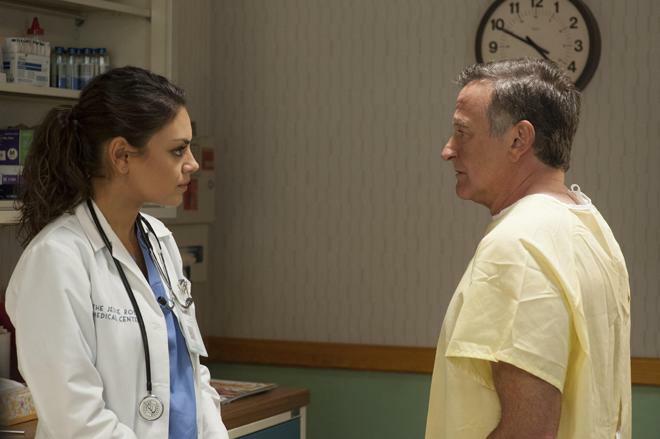 But when a young doctor (Mila Kunis) filling in for his usual physician tells him that he has just ninety minutes to live before dying from a brain aneurism -- Henry suddenly has an epiphany. On a quest to reconnect with his family and loved ones, he embarks on a mad dash to make the most out of his seemingly limited time. The only problem? He's still a ranting lunatic. Can the furious New Yorker overcome his anger before it's too late, or is he simply doomed to go out kicking and screaming… and alone? After an idyllic flashback showing Henry smiling and laughing during happier times, the movie quickly cuts to the present -- where we find the man sitting in traffic while wearing a cemented frown upon his face. The juxtaposition is certainly amusing and does a solid job of setting up the film's overall tone. Unfortunately, that tone isn't always very consistent or particularly funny. Most of the script's attempts at comedy come from Henry's various tirades and the exasperated reactions he receives from his victims, but with the exception of a few witty jabs, these rants aren't all that humorous. They're just… angry. Making matters worse, these livid stabs at hilarity are often joined by more overtly sentimental attempts to tug at the audience's heart. I don't want to give too much away, but the runtime proves to be fairly predictable, and as Henry tries to mend his relationships the drama gets a little sappy and forced. And this doesn't always gel very well with the protagonist's otherwise prickly behavior. Likewise, the overall characterizations and plot are very thin, clichéd, and downright uneventful. There's a lot of potential in the premise, but Henry's frantic ninety minute adventure is mostly kind of bland and sorely lacking in funny or dramatic set pieces. Thankfully, the film isn't without a few redeeming qualities, and while they're mostly underutilized, the cast does a decent job with what they have to work with. 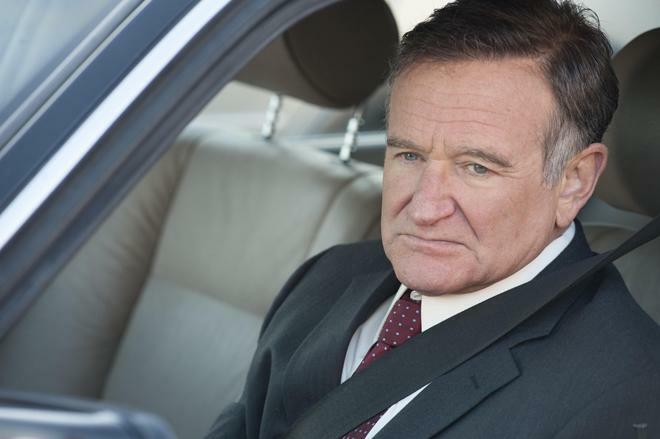 Mila Kunis, Melissa Leo, and Peter Dinklage all turn in solid performances, and Robin Williams manages to make the most out of his unfortunately uneven role. His performance can feel oddly forced at times, but the actor is able to coax a few laughs out of his perpetual frown, and he ends up committing to every outburst with frenzied passion. It's just too bad that what he has to yell about isn't particularly interesting. Beyond the ensemble, the flick also demonstrates a few sporadic creative touches. A recurring voice over that features Williams and Kunis' characters narrating their lives in the third person proves to be a fun and even occasionally affecting device -- further revealing some of the script's sadly unfulfilled potential. And as cheesy and trite as some of the film's insights can be, there are a few genuinely heartwarming moments and even a worthwhile insight or two dealing with family, grief, and the destructive nature of anger. It's been about twelve years since director Phil Alden Robinson ('Field of Dreams,' 'Sneakers,' 'The Sum of All Fearsr') made his last movie, so I guess it's no surprise that the usually capable filmmaker is a little rusty here. With that in mind, this is far from a triumphant return behind the camera, but 'The Angriest Man in Brooklyn' does have its occasional charms. That is, in between all of its mediocre plotting, thin characterizations, forgettable comedy, and -- damn, now I'm getting myself all worked up again! For fans of the cast, this might be worth a rental, but if you end up pissed off by the time the credits roll, don't say I didn't warn you. Now, if you'll excuse me, I have to go find my blood pressure medication. Lionsgate brings 'The Angriest Man in Brooklyn' to Blu-ray on a single BD-25 disc that comes housed in a keepcase with a cardboard slipcover. After some skippable trailers, the disc transitions to a standard menu screen. The packaging indicates that the release is region A coded. The movie is provided with a 1080p/AVC MPEG-4 transfer in the 1.78:1 aspect ratio. With good clarity and a relatively clean image, this is a modest but pleasing picture. The source is mostly crisp and artifact free but there is some fleeting aliasing/shimmering around a few tight patterns and faintly static grain is visible from time to time. Likewise, flashback scenes feature an intentionally grainier and softer picture. Overall detail in present day scenes is good, and though the image is never razor sharp it offers pleasing textures and depth. The color palette veers more toward a slightly undersaturated look, but several outdoor scenes prove to be bright and vibrant with pleasing pop. Contrast is high with occasionally blooming whites, but this seems to be in line with the director's chosen aesthetic. Meanwhile, blacks are deep and consistent. The video here isn't likely to blow anyone away, but the transfer suffers from no egregious issues, and the overall picture is quite good. The film is presented with an English DTS-HD MA 5.1 mix along with English SDH and Spanish subtitles. Surprisingly lively and spacious, the audio ends up creating a welcome sense of atmosphere and mood. Dialogue is mostly clear and clean throughout but there a few sporadic moments when some faint hissing can be heard behind speech. The track offers a strong level of ambiance, spreading typical New York sound effects around the room with natural imaging and directionality (passing traffic, walking pedestrians, etc.). Other locations, like a hospital waiting room, feature convincing design work as well, placing the audience right in Henry's increasingly angry shoes as coughing patients surround him from all sides. The movie's deceptively jaunty score features great separation all around the soundstage and comes through with strong fidelity. This isn't exactly a bass heavy flick, but low frequencies kick in nicely in certain music cues and a few intense moments involving speeding taxi cabs. Despite the film's modest content, the sound design does a great job of both complementing and juxtaposing against Henry's angry mood, resulting in a fairly enveloping and effective mix. The Making of the Angriest Man in Brooklyn (HD, 6 min) – Presented in 1080p with Dolby Digital 2.0 audio, this is a brief behind-the-scenes featurette with cast & crew interviews. The participants discuss the original Israeli film, praise the American script, touch upon the story's mixture of pain and humor, and elaborate on the characters and themes. Short and very basic, there isn't a whole lot to learn here. Gag Reel (HD, 3 min) – A reel of flubbed lines and outtakes is presented in 1080p with Dolby Digital 2.0 sound. These aren't exactly gut-busting, but a few bits featuring Robin Williams and Melissa Leo very politely struggling to deal with a cranky child actor are pretty amusing. 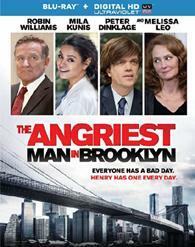 'The Angriest Man in Brooklyn' is an uneven, clichéd, and surprisingly sappy film. There are a few redeeming qualities here and there, but the movie never capitalizes on its initial potential. The video transfer and audio mix are both good, however, so there's little to be angry about on that front. Sadly, the included supplements don't offer many insights. This is a solid disc for a very mediocre film. If the cast and premise seem interesting, it might be worth a rental, but please, keep your expectations down and be sure to do some breathing exercises before you hit play.